Maura Tierney is probably best known for her time on the hit drama "ER." She played Abby Lockhart. Her character was introverted, sarcastic and a bit self-destructive, but when it came to her patients she always showed warmth and compassion. Her role was complex and nuanced, which is uncommon for a soap opera. She's currently on the Showtime series "The Affair." She also starred on "Newsradio" as Lisa, the ambitious reporter and producer. Lisa was the kind of person who kept a tight schedule and always had her eyes on her life-plan. She was also the kind of person who could perform complex mathematical calculations in her head. Her character was incredibly intelligent, kind of an overachiever and at times very funny. She's currently starring in an acclaimed drama: "Beautiful Boy," which just hit theaters. It's a story about the difficult and frustrating nature of addiction. It stars Timothée Chalamet as Nic, a college age kid struggling with a drug habit. Maura plays Karen, Nic's step mom. "Beautiful Boy" is as unique as it is realistic: addiction is a complicated thing. It brings some people closer together, drives others away, it has ups and downs. This week, we'll chat about these roles and look at the rest of her career, which spans several decades. Plus, she'll explain why she starred alongside Jerry Orbach in the 1991 film "Dead Women in Lingerie." We'll play a clip from the movie, and you can bet she shrieked in horror that we were able to dig that up. Michael Kupperman is a cartoonist, writer, and he's one of our favorites at Bullseye. His comics have appeared in the New York Times, the Wall Street Journal and Believer Magazine. A lot of his stuff is surreal, and a little silly. For his latest book he gets serious and very personal. 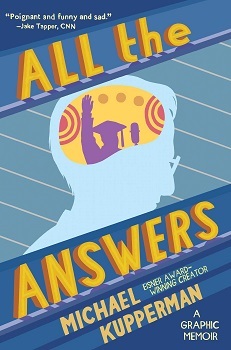 In "All The Answers" he explores his father's time as a world famous TV Quiz Kid. Back in the 40s and 50s, when people were still figuring out how television worked, there were "quiz shows." TV programs where hosts would ask contestants trivia questions, and if they kept answering right, they'd stay on the show. Michael's dad; Joel Kupperman, managed to stay on for almost a decade. And it all happened when he was a kid. When he grew up, Joel pretty much left TV. And he didn't talk about it much, not even with his family. And when he did, it wasn't usually positive. Michael got the sense that this was a pretty dark chapter in his Dad's life. So Michael did some of his own research. He went through old tapes, talked to family members. It's a fascinating portrait of his father, and a really moving read. His father never talked much about his childhood. So Michael learned a lot of surprising things about his father later on in life on his own. He'll describe what it was like to discover that his father had once performed with the Marx Brothers. Plus, he'll explain why he had an easy time drawing his father in the book, but struggled to draw himself. 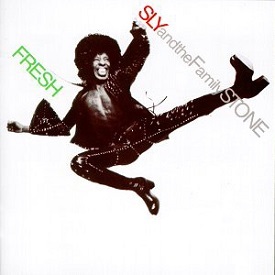 Finally, Jesse explains why "Fresh" was the last great album by Sly and the Family Stone ever recorded.